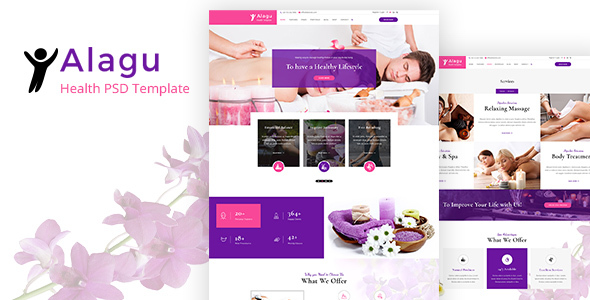 The Alagu is an exquisite and attractive PSD template sketched for hair salon, wellness center, yoga/meditation classes, and all other health care businesses. Each and every section created with a fresh and modernistic look to expose the view of your services, treatments and their benefits in a charming view. On the appearance side, we have carefully chosen the smartest fonts “Dancing Script, Cormorant, Open Sans” and winning colors to emphasize the chic and smart look for the Alagu. So with this colorful and focus oriented design, you can make your works look more impressive and attractive to viewers as you desire in a tiny time. Notably, you can easily edit all the templates effortlessly with Adobe Photoshop without any quality sacrifice. All the elements are as shapes which are editable and can be customized easily without recreating it. 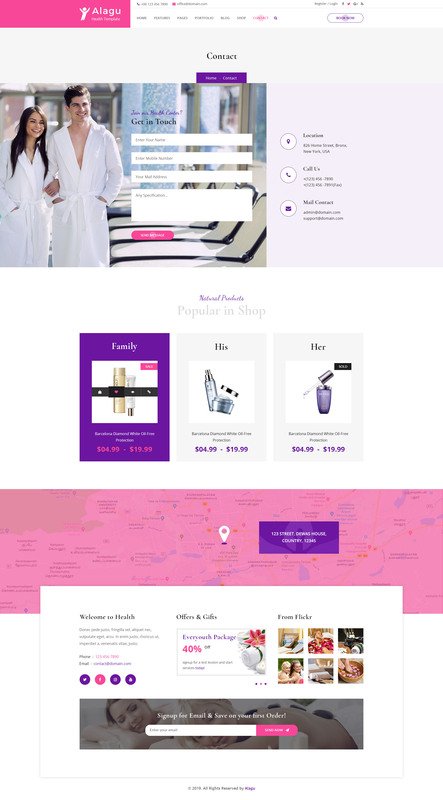 With the right naming of files and easily editable shapes, you can customize this template to any beauty business.